An even more extreme Pagani Huayra, complete with an even more obsessive approach to the detail, and claimed to deliver more across every performance parameter. Yes, the Huayra BC has more power and more torque but, as ever with Pagani, the difference is in the detail. Anything that could be made lighter has been, but not at the expense of performance – the type of performance that makes your palms sweat and your pupils dilate. Oh, and the BC in the name pays homage to Mr Horacio Pagani’s first customer, friend and mentor – Benny Caiola. In case you were wondering. I was. So, what’s new? How long do you have? Before we get down to it, though, a caveat: this was a development drive of an early prototype (Development Car No.2) in Sicily. Sicily isn’t big enough for the BC. So we need longer behind the wheel to really get under the BC’s skin. The good news is when it comes to a car this visceral even brief excursions are loaded with high definition detail. 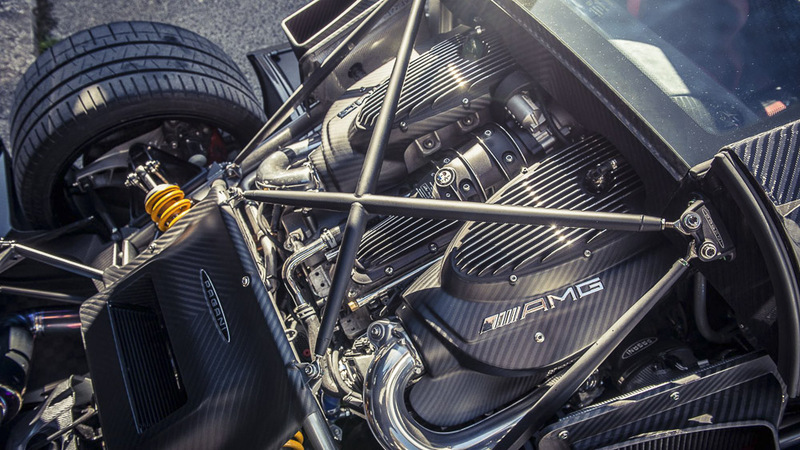 The engine is the familiar AMG-sourced 6.0-litre V12 bi-turbo, turned up to deliver 789bhp and 1099Nm of torque. That’s driven through Le Mans prototype-derived tripod drive shafts to the rear wheels, via an all-new seven-speed Xtrac automated manual transmission with new electro-hydraulic actuation and carbon-fibre synchronisers (Pagani likes carbon-fibre). 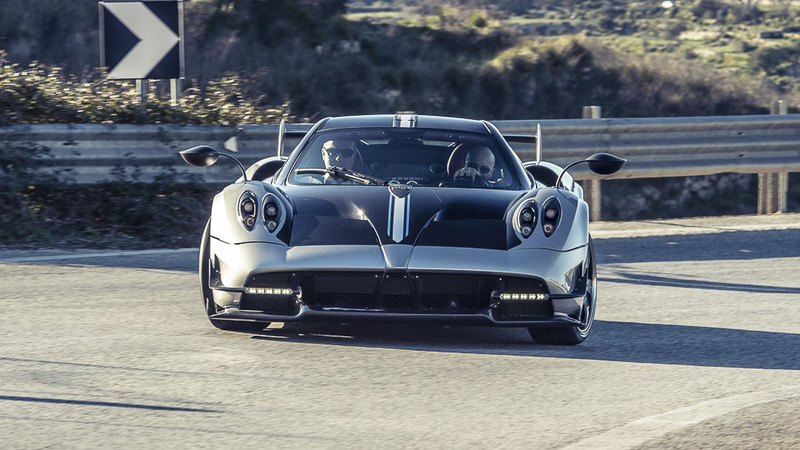 Long story short, shift times are halved from 150ms in the standard Huayra to 75ms here. Pagani says it could have used a double-clutcher but the combined weight of the Xtrac ‘box and electronic diff is 40 per cent lighter than current double clutch units. Er no, I’m just getting warmed up. Like I said, the BC is all about the detail and no one does detail like Pagani. The titanium quad exhaust is a thing of wonder and would be as happy hanging on the wall of the Saatchi gallery as mounted in the BC. Weighing just 2.9kg, it’s a staggering 7.1kg lighter than the standard pipes. The bespoke Brembos, which feature the first use of an all new Monolithic six pot design at the front (four pot at the rear) are six per cent lighter than the system on the “standard” car. Forged APP wheels deliver another 9kg saving (and are wrapped in bespoke Pirelli P Zero Corsas which feature 12 different rubber compounds across the generous 355-section tread). Suspension uprights and wishbones are made from Avional – an aeronautical grade aluminium that weighs 25 per cent less than regular aluminium alloys. The BC also features a new and as yet unnamed type of carbon fibre that Pagani says is 50 per cent lighter and 20 per cent stronger than regular carbon. This micronic attention to detail combines to make the BC a massive 132kg lighter than the standard car. Hard not to. In the pursuit of downforce Pagani has been working extensively with Dallara on the aero, resulting in alterations to every panel except for the roof. There are intakes and channels galore. The net result is not only that it sticks to the road, but it looks… purposeful. It arguably lacks the purity of the original, but if you want pretty you only have to open the door. That exposes the impossibly intricate interior where deep red leather, anthracite suede and matt carbon fibre mingle with gloss-black highlights. It’s breathtaking stuff, and the naked gear linkage remains one of the most beautiful mechanical sculptures of all time. So I guess it’s savage to drive? Well here’s the big surprise, because the thing that initially strikes you about the BC is how supple it is. Where most hypercars would rattle and jar you the BC remains unruffled and isolates you from the worst that the road throws at you. There’s a refreshing simplicity to its operation, too. Just three driving modes accessed via a button on the wheel – Comfort, Sport and Race – are available, and you can shift gears with the stick or paddles on the wheel. And that’s it. Feeling brave? You can turn all the electronic nannies off, but a fail-safe mode will reactivate them if the temperature drops below nine degrees. Think of it as Pagani protecting your investment for you. Even on this brief first acquaintance which was limited by a road network more used to Fiat 500s and goats than 789bhp hypercars, it’s immediately obvious that the steering is sharper than the standard car, and the brakes are mighty, and the performance is brutal… delivering the kind of acceleration you can feel in your face. The noise however, complete with twittering turbos, takes some getting used to. Clearly we’ve been spoiled by the un-boosted V12 in the Zonda and this car with that engine would be a jawdroppping prospect. But there’s method in Pagani’s madness. Let me guess, turbos (or hybrid assistance) are a must now to pass emissions legislation? Absolutely, I’m afraid. The good news is that AMG has promised a continuous supply of emissions-compliant V12s for Pagani until 2023, so the party will most definitely go on. The price that Pagani had to pay for future proofing his business and opening it to what’s become its biggest market, the USA (Caiola’s home), was to go turbo. It hasn’t harmed sales. All 20 €2.3m BCs are sold and, before anyone had seen this car, orders are already flooding in for a BC Roadster. Frankly, if you’re one of those lucky few who have laid down your cash, we salute you – the BC has depths we are yet to explore, and our initial brief encounter has whetted our appetite and left us very hungry for more. For some people, cars are more than engineering projects. They have soul. In this case, a little of a friend and mentor. And for as long as there are people like Horacio Pagani in this world, the religion of the hypercar is in good hands.